Triangle Fire Systems celebrated their 10th Anniversary on Saturday 20th August by hosting their biggest ever summer bash! 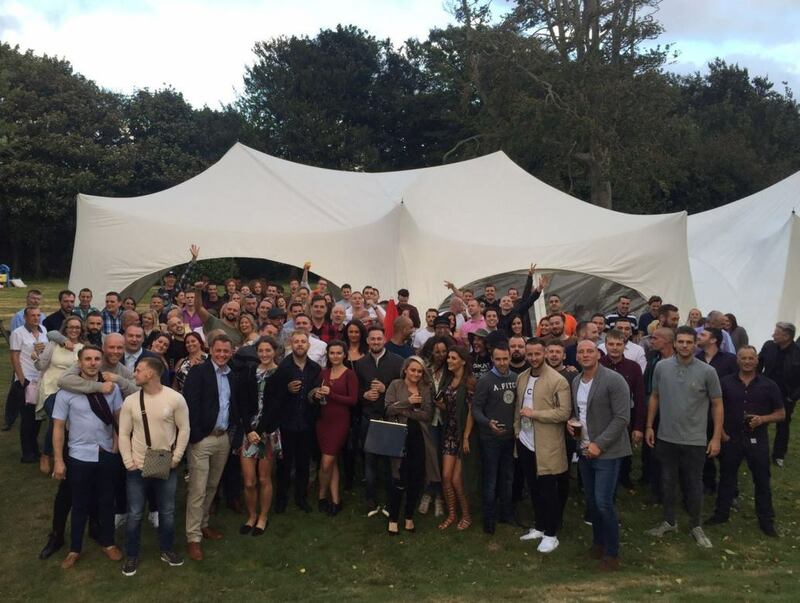 The party took place at Fairlight Lodge Hotel where Triangle took over the complete hotel and grounds for a day of great food, free bar and live music in a beautiful setting. The celebrations started at 3pm and lasted until the early hours with 150 people in attendance, bringing together staff from their Hastings and Brentwood Offices, and sub contract partner, Forlex Fire. Local Hastings Band ‘Not Guilty’ kept the dance floor busy all night and the party was thoroughly enjoyed by all. Its been an amazing 10 years for Triangle and we are looking forward to a bright future and continued success.